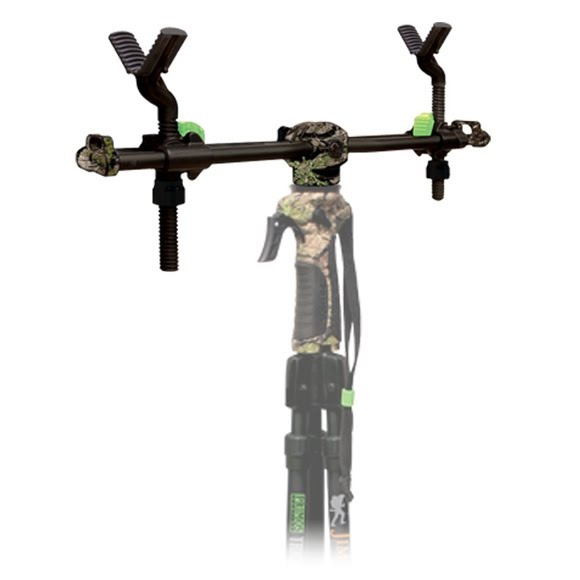 Turn any tripod into a stable shooting rest with the Primos 2 Point Gun Rest. Quickly attaches to any tripod with a 1/4-20 thread pattern. Easily adjust the height and tilt. Great for ground blinds, youth and disabled hunters.